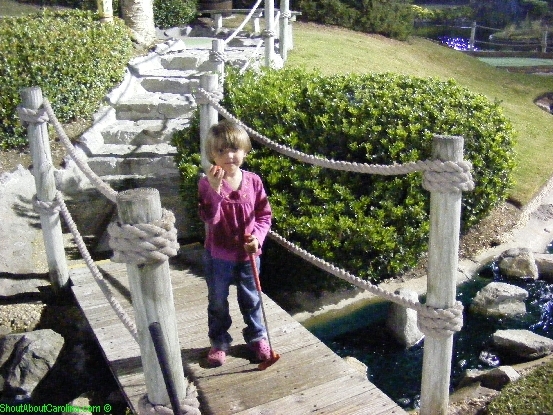 Wonder where to take your preschool kids for a fun outing in Myrtle Beach? 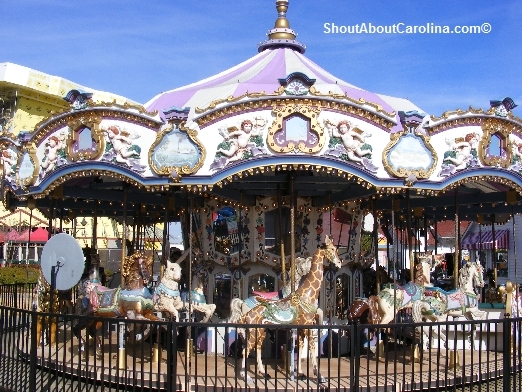 The Pavilion Amusement Park at Broadway at the Beach has a dedicated section for little ones located near WonderWorks Soar and Explore. 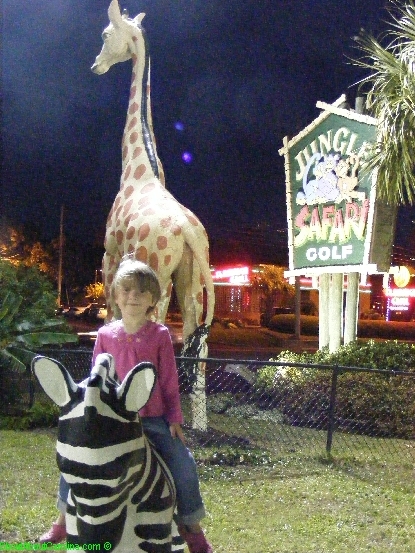 Each ride is $3 + tax. You’re better off buying in bulk (i.e. 9 rides for $20 + tax). 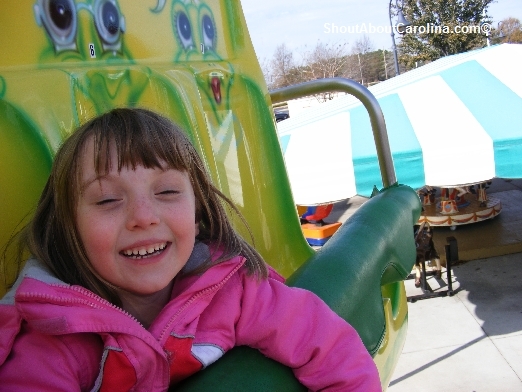 The rides open at 12PM and run till dusk. Note this section is closed January through March, however the one next to the Aquarium is open year around. The “thriller” drop! Actually is a sequence of small hops, the kids go gaga over…I quit after my first ride and instead focused on documenting my daughter’s adventure. Cmon mom, hop on little froggy! All NASCAR drivers started at Speedcar…This is a bump free car chase. 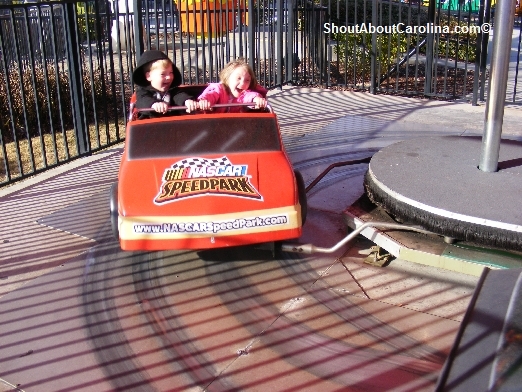 The apex is the fast turn, that is swishing the kids around at high speed. 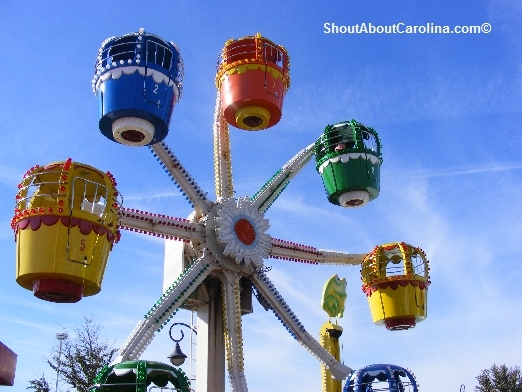 My favorite was the Ferris Wheel ride. It’s relaxing and you get a spectacular view of the entire Broadway at the Beach area, including the lake, restaurants, promenade bridges and attractions. Look at me, I am a real pilot! 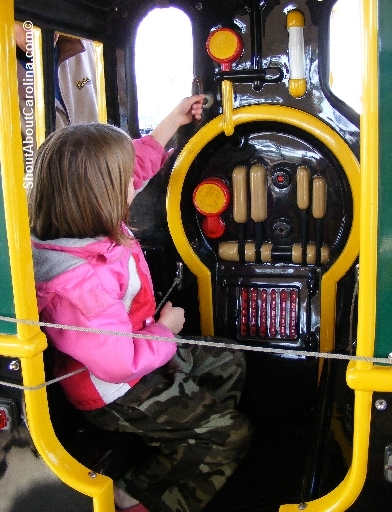 My daughter got the honor to “operate” the Broadway Line locomotive while I got to ride in the back with the commoners. Beware of the giant chicken and the green dinosaur! Is so fun to run the train! 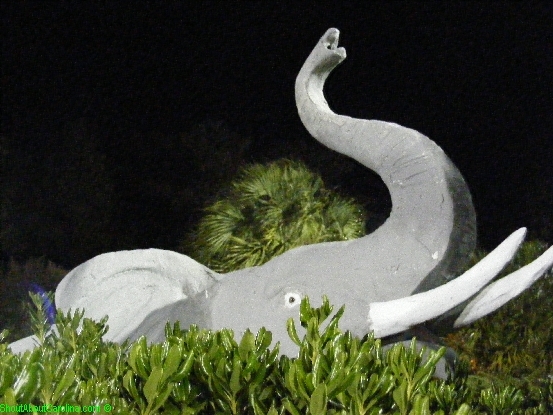 Reach for the stars at Ingram Planetarium in beautiful Sunset Beach NC. 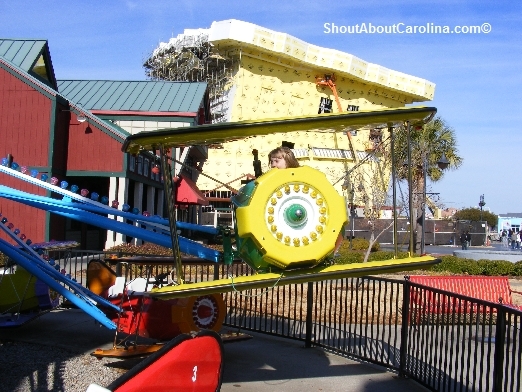 The fun packed observatory just half an hour away between North Myrtle Beach and Wilmington. Admission is $8 for adults, $6 for seniors, $4 for kids 3-5 years old and free for those 2 and under. Ingram Planetarium is opened Friday and Saturday from 12:30 to 5PM and astronomy shows start at 1PM. • Race into Space! – Shoot water at astronauts toys to see who gets up faster. • Nebula Ball – Watch the light respond to your touch and gather around your palm and fingers to create beautiful swirling formations. • Bernoulli’s Lift Off – Make an airplane fly. Fast moving air over the wings creates lift causing an airplane to fly. Same is true on a race car, the faster the air, the faster the car drives. • Gravity Machine – Let gravity draw art for you! • Hear sounds coming from Pan’s Pipes – Pan was half man half goat that entertained Gods by singing on a flute he made from hollow reeds. Sound is a form of energy that is transmitted by vibrations called sound waves. The pipes trap sound in the room and channel it to your ear. The shorter the pipe the higher the pitch. • Measure electromagnetic radiation using Crookes “light mill” – The radiometer is an airtight glass bulb containing partial vacuum. The vanes rotate when exposed to light. The more light the faster they go. • Watch cool NASA movies. Did you know the Solar wind output is at 50 year low? Look mom I'm flying into space! Celebrate the number 3.14 and other math games. Space Day activities. Look through a telescope as Galileo did 400 years ago. Here is a list with the songs played during each show. Experience the sky legends at Ingram Planetarium!